A New York state senator is calling for hearings after an NBC 4 New York I-Team investigation revealed that tenants of a Harlem building were never told of the site’s toxic history before they signed rental agreements. Perkins said he wants to force the Department of Environmental Conservation to be more active in notifying renters about Superfund sites, even if landlords don’t. "I'm angry that they have to be forced,” said Perkins. “I mean, come on, Department of Environmental Conservation. This should not have to be brought up in an investigation. This should be the number one concern." Perkins was referring to the building at 2350 Fifth Ave., which is designated as a Superfund site by the DEC. Built in 1923, it was used first as an ice cream factory and then as a commercial laundry and dry cleaning center from 1970 to 1994. It was during those years that chemicals from a dry-cleaning solvent called tetrachloroethylene, or PCE, contaminated the soil and ground water around the building, according to state researchers. Perkins said the DEC failed in its responsibility to the public when it came to thoroughly probing 2350 Fifth Ave.'s toxic history. DEC Commissioner Joe Martens believes his agency did everything appropriate and fair when dealing with tenants and subtenants of the Harlem building. 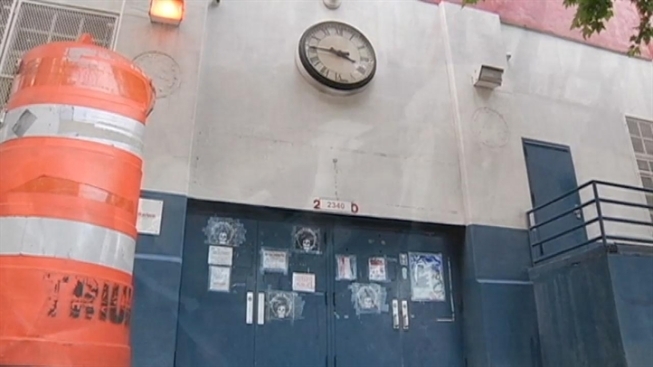 While DEC personnel visited the Harlem building six times in the last five years, the agency was unaware that dozens of people were working inside until recently, NBC 4 New York's I-Team confirmed. The DEC refused requests for an on-camera interview and when the I-Team visited its offices in Albany, a spokeswoman kept NBC 4 New York cameras away from the office that regulates Superfund sites. The agency did send an email explaining that under the current law, owners of the Harlem building were only required to notify direct tenants about air quality test results. Joseph Karten’s only direct tenant, according to public records, is a storage company that Karten also owns. Under the DEC interpretation of the law, Karten would be under no obligation to disclose air-quality tests to the subtenants of his own storage company. Even so, the DEC told the I-Team Tuesday that it is changing its policy to require future Superfund sites to notify both tenants and subtenants of their toxic histories. The policy change only affects future state Superfund sites and would not apply to the Harlem building or its owner. An attorney for Joseph Karten declined to comment for this story. Perkins said that legal interpretation favors the polluters rather than the public. “The law should require that the owner let you know and that the state should intervene directly with tenants if the owner doesn’t live up to his obligations," said Perkins. DEC does make its data on Superfund sites publicly available; below is a map created by NBC 4 New York's I-Team of the Superfund sites in the New York City metro area.